Dilaudid is a derivative of morphine, i.e. a hydrogenated ketone. It belongs to the opioid family of drugs. People also refer to it as hydromorphone. In addition, they use it to treat moderate to severe pain. Scientists first synthesized Dilaudid in 1924. The first introduction to the public was in 1926 by Knoll. In most cases, people refer to Dilaudid as a narcotic. However, this name only applies to the substance in legal terms. Conversely, in medical terms, doctors will call it an opioid analgesic. How Dilaudid effects its users is something one should know about before taking it. What are the effects of Dilaudid? 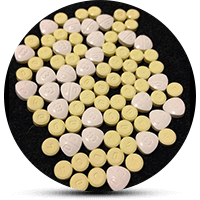 One of the main properties of Dilaudid is pain relief. Therefore, it changes the way the brain perceives of pain. More precisely, it increases the brain’s ability to tolerate pain. As a result, it will relieve the patient’s agony. When taken orally, it takes about 30 minutes for the Dilaudid effects to surface. Meanwhile, its injectable form takes only five minutes to start working. Sadly, like all effective drugs, Dilaudid also comes with a wide range of side effects. Some of them are more severe than others. Therefore, we can divide them into short and long-term side effects. Usually, minor side effects do not pose a great physical danger to one’s system. Furthermore, medical assistance is not necessary for those situations as well. However, if they persist for a long period, doctors advise the users to seek medical help. You should address the more severe Dilaudid effects right away. Therefore, if you notice any of the symptoms mentioned above, do not hesitate to call your doctor. What should I know before taking Dilaudid? Dilaudid is about five times more potent than morphine. As a result, this makes it a great alternative for patients with weak kidneys. However, this also means that doctors should carefully track the dosage given. This is because an one-time overdose is enough to have a fatal outcome. This way, one will not have to deal with the Dilaudid effects so much.